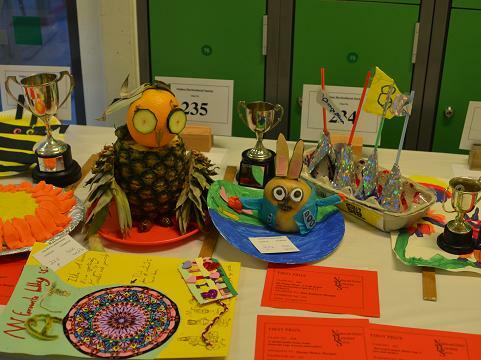 The Society will hold its 2019 Summer Show on Saturday 3 August, in Nailsea School, Mizzymead Road, Nailsea. 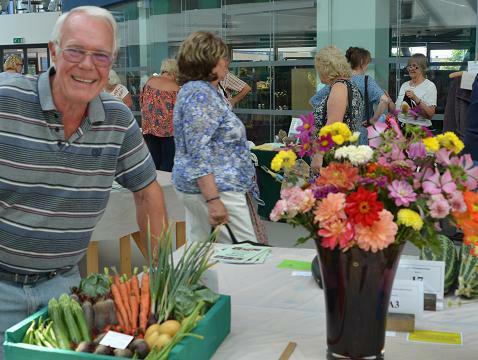 400 people came on Saturday afternoon 4 August 2018 to the Nailsea Flower Show, enjoying the displays of flowers, vegetables, cookery, handicrafts and photography, and the special children’s exhibits. 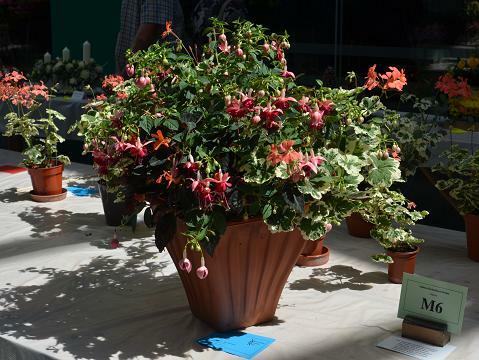 The number of entries in the horticultural classes, particularly cut flowers, was down slightly compared with last year. 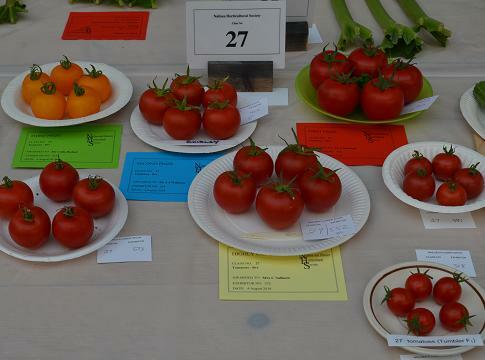 This isn’t surprising after the recent hot weather which has made growing conditions very difficult, but the standard remained high. 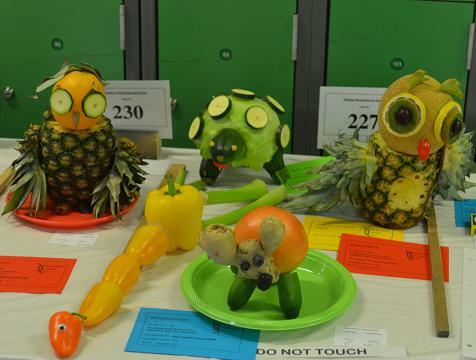 Talented Clevedon growers Sue and Jeff Withers had a number of “best exhibits”. 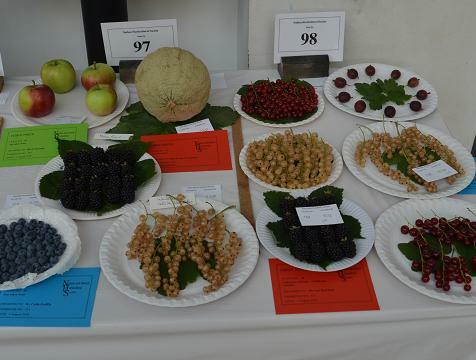 Sue won best exhibit in the cut flower classes and Jeff won the vegetables and sweet pea sections. 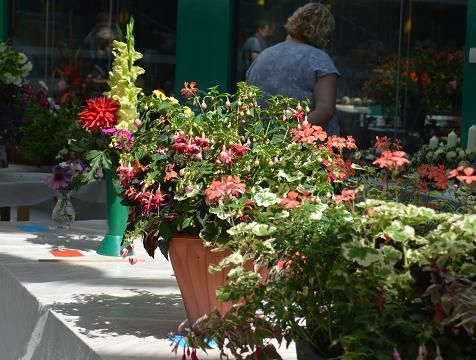 Tony Willoughby won the prize for best exhibit in the pot plant classes and Val Davis had best exhibits in dahlia and gladiolus classes. 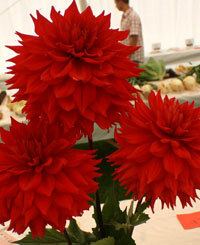 The cookery classes were of high standard, and Jocelyn Smith won trophies for cookery and preserves. 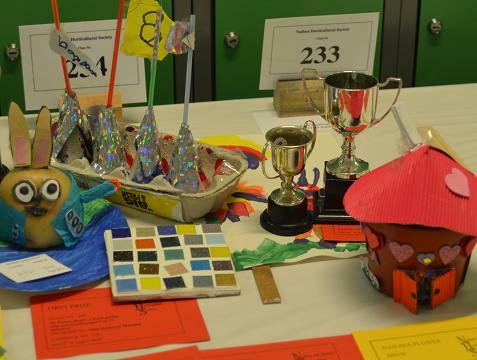 The children’s cookery and handicraft classes were well-supported, colourful and artistic, and five youngsters shared eleven trophies. 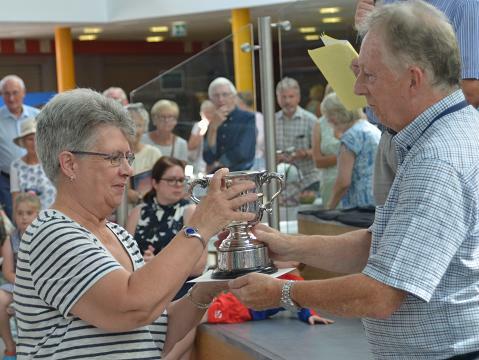 Everyone was entertained by the excellent Filton Concert Brass Band which played at its usual best, and there were plenty of refereshments provided by the Society’s volunteers. 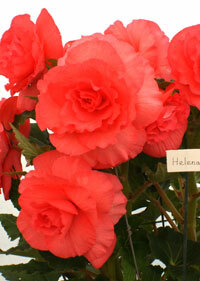 Indeed, lots of volunteers joined in to help the Society make the show a very enjoyable experience for everyone. 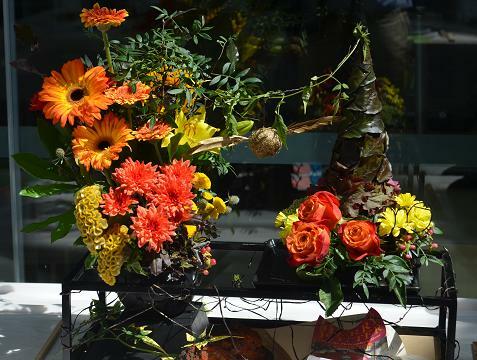 The summer flower show relies on volunteers. 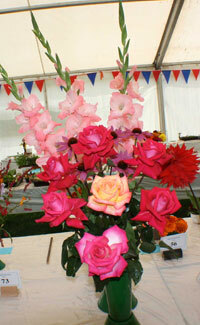 You can keep alive the great tradition of Flower Shows in Nailsea. 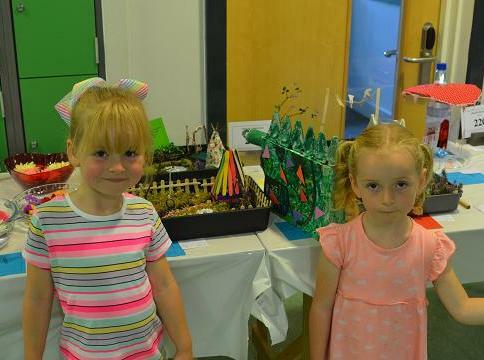 Volunteers are needed for all sorts of activities: moving tables to help set up the show, stewarding with judges, selling raffle tickets, helping to serve teas and cakes etc etc. If you think you can help, please let us know. 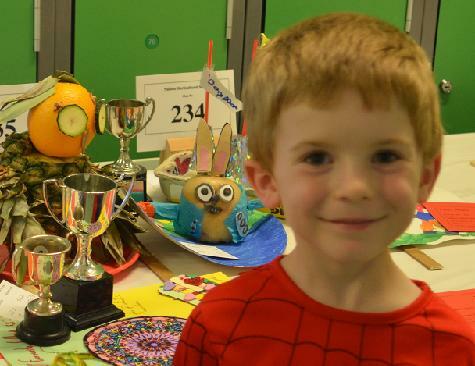 When available, copies of the Schedule of Classes for the summer show can be downloaded from this page or are obtainable from Nailsea Library and from PS Travel, Station Road, Nailsea. 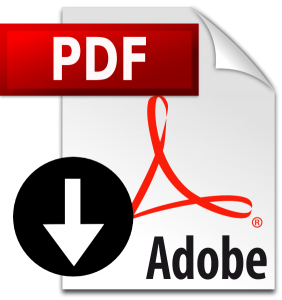 A schedule of trophy winners can be downloaded from this page.